The right disposable lab coat can save your employees from workplace hazards and keep you compliant with federal and local standards. There are several types of disposable smocks available for purchase through EnviroSafetyProducts, and you should make your selections based on the potential hazards in your workplace. The National Fire Protection Association governs the methods used for testing disposable fire retardant smocks. At EnviroSafetyProducts, we carry several disposable smocks that meet or exceed the standards outlined in NFPA 701 so your employees can enjoy the maximum fire and flash protection available while remaining mobile. To improve on our disposable fire retardant smocks’ effectiveness, EnviroSafetyProducts also stocks a huge collection of flame-resistant shirts and flame-resistant pants that are designed to be worn underneath your outer layers. Our disposable fire retardant smocks are made of durable Pyrolon Plus material and protect against light liquid splash and dry particulates. With long sleeves and snap-front closures, disposable smocks are ideal for environments with hazardous and non-hazardous contaminants. 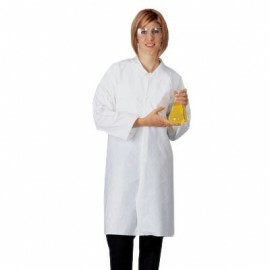 Polypropylene lab coats are ideal for environments containing non-hazardous contaminants, dirt and grime. They're a low-cost alternative to non-disposable lab coats for hospital staff, clinics, laboratories, food processing facilities and similar workplaces. Lightweight material makes our polypropylene lab coats easy for workers to manage while keeping uniforms and clothing clean. Worker mobility isn't hampered because the flexible, breathable material moves with the wearer – in fact, it's barely noticeable. Available by the case, EnviroSafetyProducts polypropylene disposable lab coats are a one-size-fits-all solution for a variety of workplace environments. Workplaces with light liquid splash, dry particulate, and abrasion and tear hazards generally use disposable Tyvek lab coats to protect workers. 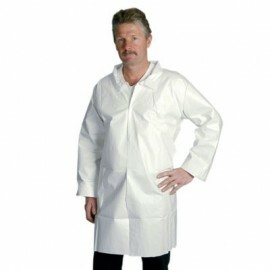 As an affordable alternative to cloth smocks, Tyvek lab coats are durable, breathable and lightweight. They provide superior protection against everyday messes in veterinary facilities, food and beverage processing plants, labs and many other environments. 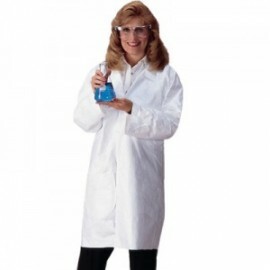 Tyvek lab coats are available by the case in a variety of sizes. With long sleeves and snap-front closures, disposable lab coats provide excellent coverage for clothing worn underneath and don't get in the way of other safety gear, like food service gloves and needle-resistant gloves. 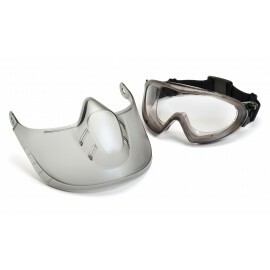 At EnviroSafetyProducts, we know having a choice between disposable gowns with long sleeves is important. We’ve compiled a comprehensive selection of long-sleeved disposable gowns that double as splash and dry particulate protectors so you can find exactly what you need for your workplace. Since we regularly partner with the world’s most trusted disposable gown manufacturers, we’re able to get significant discounts on our orders; we then pass those savings on to you. Everything listed in our catalog is in stock unless otherwise noted. We invite you to browse our huge collection of disposable gowns with long sleeves, Tyvek lab coats, polypropylene lab coats and disposable fire-retardant smocks to find the right PPE for your employees today. At EnviroSafetyProducts, we know how important it is for you to promote workplace safety – not just for OSHA, NFPA and ANSI/ISEA compliance, but for your workers’ health. That’s why our inventory is packed with affordable, disposable lab coats that provide liquid splash and dry particulate protection. EnviroSafetyProducts carries Pyrolon, Tyvek and other reliable brands so you can compare and order the right lab smocks for your workplace. We invite you to take a few moments to browse our selection. If you have any questions, feel free to call our expert customer service representatives at 800-637-6606; we’ll help point you in the right direction.